Contrary to popular belief, a quagga was not a cross between a donkey and a zebra. It just looked that way. Tests on mitochondrial DNA and protein obtained from a skin in the 1980’s indicated that the quagga was a subspecies of the creature known as Burchell’s plains zebra, which is now also extinct. They were once abundant in dry grasslands of the present-day Western and Eastern Cape and southern Free State of South Africa. Their name was derived from the Khoikhoi word for “zebra” and is onomatopoeic, believed to resemble the barking cry of the quagga. The letter g is prononced as “h”. 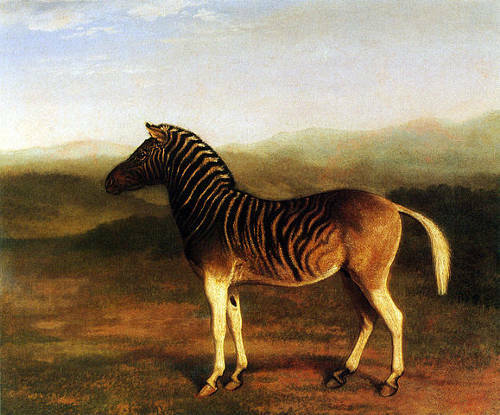 The Hottentot African race tamed quagga and used them in the place of watchdogs. Even when tamed however, they were extremely energetic and highly-strung, and the males were especially prone to fits of rage. In the past, zebras have been successfully crossbred with horses and donkeys, resulting in hybrids with the unusual names of zeedonks, zonkeys and zorses. However, the genuine quagga was distinguished from other zebras by his vivid black and white stripes on the front part of the body only. The stripes then faded and the spaces grew wider, until his hindquarters were plain brown. The quagga was hunted to extinction with the last wild quagga being shot in the late 1870s. The last specimen in captivity, a mare, died in a zoo in Amsterdam in 1883. 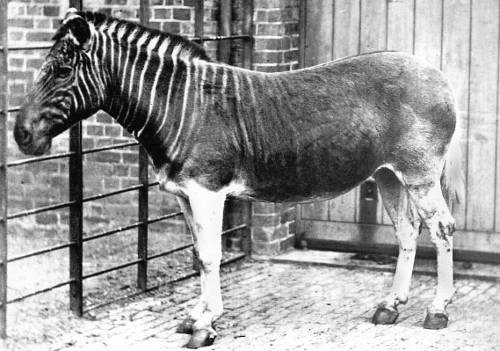 The only quagga to have been photographed alive, also a mare, was in London’s Zoo in 1870. The “Quagga Project”, which was started on the slopes of Table Mountain in Cape Town, is now in its 20th generation, and there have been a few foals born that strongly resemble the original quagga. A number of nature reserves in the Western Cape Province of South Africa were earmarked to see if it was possible to bring the quagga back from extinction. The Addo Elephant Park, near Port Elizabeth is involved in this project. According to Scripture, God created all living creatures. So if man manages to successfully restore the quagga to the animal kingdom, does that mean he has created the animal? Clearly not. That’s like saying we create an original rose every time we grow one from seed. 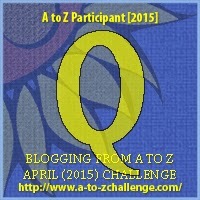 Project Quagga makes use of zebras which appear to have descended from the original quaggas. P is for Port Elizabeth R is for Rhinoceros.